I assume headaches have always been part of people’s daily lives. But, somehow, headache has never been regarded as a subject of immense public health importance. One of the reasons may be that it is associated with a multitude of disorders, most of which are benign. However, there is now a large body of evidence highlighting the societal impact of headache disorders, their cost and the necessity to educate and provide more basic care for those who suffer. The Global Burden of Disease survey 2010 (GBD 2010) demonstrated clearly where headache stands among the many causes of disability worldwide (1). According to the survey, tension-type headache and migraine are the second and third most prevalent disorders in the world (2). Furthermore, migraine is the seventh highest cause of disability worldwide. It is estimated that two-thirds of people will suffer from headache at some time during their lifespan: 14% to 16% are caused by migraine and 46% to 78% are due to a tension-type headache (3). Patients with headache constitute up to 4.5 percent of emergency department (ED) visits (4). Headache is one of the most common reasons why people use over the counter analgesics (OTC-drugs) such as paracetamol (acetaminophen), aspirin, and other non-steroidal anti-inflammatory drugs (NSAIDs) like ibuprofen, naproxen, and diclofenac. While these drugs are generally safe and effective when used as directed, their use has been associated with certain risks. Paracetamol (acetaminophen) may harm the liver, aspirin has been associated with increased risk of bleeding from the gastrointestinal tract, and NSAIDs should be used with caution in patients with cardiovascular disease or liver or kidney impairment. 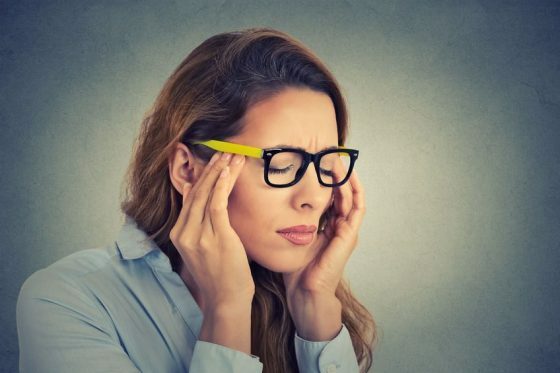 A headache that is due to a specific underlying condition, such as sinusitis or meningitis, is often referred to as secondary to distinguish it from more benign conditions such as migraine, tension headache, and cluster headache which are known as primary. A primary headache is a headache that is due to the headache condition itself and not due to another cause (5). The differentiation of the small number of patients with serious, sometimes life-threatening headaches from the overwhelming majority with benign primary headaches is of immense importance. Failure to acknowledge a serious secondary headache can have potentially fatal consequences. The key to distinguishing secondary headache from a primary headache lies in the features of the headache, other symptoms occurring at the same time, and the physical examination. Family history of similar headaches. 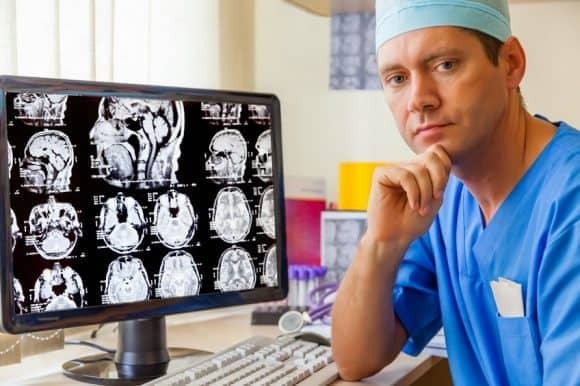 For most patients, the diagnostic test of choice is a magnetic resonance imaging (MRI) brain scan. Computed tomography (CT) of the brain is usually obtained in the setting of trauma or the abrupt onset of headache. Spinal tap with examination of cerebrospinal fluid is useful in diagnosing subarachnoid bleeding and infection. A primary headache may be due to several conditions that are in itself benign but may often lead to serious disability. Most cases of benign headaches fall under the following three categories: tension-type headache, migraine, and cluster headache. Tension headache, also known as a tension-type headache (TTH), is the most common type of primary headache. It is also the most common headache in the general population (1), and the second-most prevalent disorder in the world (2). The mean global prevalence of TTH in adult is 42% (7). Due to its high prevalence in the population, TTH causes a high degree of disability. Surprisingly little research on the disorder has actually been carried out and knowledge about the underlying causes and mechanisms is therefore limited. This may partly be due to the lack of a proper classification. Before 1988, no precise definition of tension-type headache was available, and several terms such as muscle contraction headache, tension headache, psychogenic headache, psychomyogenic headache, or stress headache were used (8). The headache in TTH is rarely severe. It is often band-like and aching and usually not throbbing. It usually affects both sides of the head and is not associated with light and sound sensitivity or nausea and vomiting (9). Muscle tenderness in the head, neck, or shoulders is often present. Stress and mental tension are reported to be the most common precipitants for TTH (10). Simple OCT analgesics (aspirin, ibuprofen (Advil, Motrin IB, others) and naproxen (Aleve)) are the mainstays of treatment of episodic TTH. Aspirin or acetaminophen are sometimes combined with caffeine or a sedative drug in a single medication. However, it is crucial to avoid frequent and excessive use of simple analgesics to prevent the development of medication-overuse headache (12). Tricyclic antidepressants, including amitriptyline and protriptyline, are the most commonly used medications to prevent TTH. Acupuncture, massage, and relaxation therapies are sometimes used. Migraine is a disorder of recurrent attacks of headache. It is often described as severe throbbing pain or a pulsing sensation, usually on one side of the head. It is commonly accompanied by nausea, vomiting, and sensitivity to light and sound. Prodromal symptoms may occur one or two days before the attack (13). These include constipation or diarrhea, mood changes, appetite changes including food cravings, concentration difficulties, cold extremities, increased thirst, frequent urination and constant yawning. Warning symptoms known as aura may occur before or together with the headache. These include visual disturbances and sensory abnormalities such as a tingling or touching sensation on one side of the face or in an arm or a leg (14). However, most patients (75-80%) with a migraine don’t experience an aura. There are some known trigger factors for migraine attacks such as emotional stress, menstruation, visual stimuli such as bright lights, fasting, wine, physical exertion, sleep disturbances, intake of highly caffeinated beverages and aspartame, among others (15). The exact cause of migraines is unknown, but they’re believed to be the result of abnormal brain activity, partly caused by imbalances in brain chemicals including serotonin. These abnormalities may temporarily affect nerve signals and blood vessels in the brain. Cluster headache, also known as histamine headache, is a rare disorder that affects about 1-2 people in every 1.000. It is characterized by a severe pain in one side of the head, often the eye, temple or forehead. The pain may begin quickly and without warning. It may be very intense but does usually not last for more than 1-2 hours. People who smoke seem to have a higher risk of getting cluster headaches. Some cases also appear to run in families. Cluster headache attacks can sometimes be triggered by drinking alcohol or by strong smells, such as perfume, paint or petrol. Upper respiratory tract infections are a common cause of headache. In children and adolescents presenting to the ED, upper respiratory tract infections are the most frequent underlying cause of acute headache (57%). These are further divided into viral upper respiratory tract infection 39%, sinusitis 9%, and streptococcal pharyngitis 9% (17). There is often associated fever and a sore throat. A sinus headache is commonly diagnosed by physicians and self-diagnosed by patients. However, sinusitis appears to be an uncommon cause of recurrent headaches, and many patients presenting with sinus headache turn out to have migraine (18). Meningitis is an inflammatory process of the membranes that surround the brain. When caused by bacteria it is called bacterial meningitis. These bacteria usually infect the mucosa of the upper airways from where they may enter the bloodstream and ultimately cross the blood-brain barrier and enter the brain. The most common types of bacterial meningitis include pneumococcal meningitis and meningococcal meningitis. Some 6,000 cases of pneumococcal meningitis are reported in the United States each year (19). Bacterial meningitis is a rare but potentially fatal disease. Haemophilus meningitis used to be the most common form of bacterial meningitis. The Haemophilus influenza b vaccine has significantly reduced the number of cases in the United States. Given the success of routine childhood vaccination programs, over the past 25 years, the median age of a patient diagnosed with meningitis has risen from 15 months to 42 years old (20). Meningitis is classified as aseptic meningitis if it is due to other causes such as drugs or non-bacterial infections. The diagnosis of encephalitis and meningitis is usually made by performing a lumbar puncture (spinal tap). The hallmark signs of bacterial meningitis are sudden fever and severe headache. Patients with bacterial meningitis often have nausea/vomiting, double vision, drowsiness, sensitivity to bright light, and a stiff neck. Early diagnosis is crucial because acute bacterial meningitis must be treated immediately with intravenous antibiotics and, and sometimes, corticosteroids. SAH can be caused by a ruptured aneurysm, vessel malformations (arteriovenous malformations), or head injury. SAH typically presents with a severe headache, nausea and vomiting, stiff neck, sensitivity to light (photophobia), and sometimes blurred or double vision, loss of consciousness, and seizures (21). Treatment for SAH varies, depending on the underlying cause of the bleeding, the condition of the patient, and the extent of damage to the brain. A stroke occurs when the blood flow to the brain is interrupted. If blood doesn’t reach the brain, brain cells will die, and permanent brain damage can occur. In ischemic stroke, a blood clot blocks the flow of blood to areas of the brain. In hemorrhagic stroke, there is bleeding into brain tissue, most commonly because of a burst vessel. A patient in the early phases of a stroke may experience a headache. The headache may be accompanied by dizziness or vomiting. However, most patients will have neurologic deficits as well, such as an inability to move a limb, sensory deficits, slurred speech or an inability to speak. A headache immediately following a head injury usually disappears after minutes or days. However, sometimes headaches may persist for months or years after the injury. These long-term headaches are called post-traumatic or post-concussion headaches. Post-traumatic headaches typically affect both sides of the head and often occur daily. They are of slight to moderate intensity. However, bouts of more severe headache may occur and these may be similar to migraine with one sided throbbing pain associated with nausea and sensitivity to light and noise (22). Today, many cases of post-traumatic headache will be classified as chronic TTH. A chronic subdural hematoma (SDH) is an old clot of blood on the surface of the brain beneath its outer covering (23). The most common complaint is headache, seen in up to 80 percent of patients. SDH is most common in patients age 60 and older. Many patients have an underlying brain atrophy, a shrinking of brain tissue, usually due to age or disease. SDH is usually precipitated by a minor head trauma which cause tearing of blood vessels over the brain surface, resulting in a slow accumulation of blood over several days to weeks. The trauma may be trivial and is often not remembered by the patient himself. Risk factors include alcohol abuse and blood thinning medications. Headache is one of the most common symptoms experienced by patients with brain tumors. The headache is usually steady but often worse in the morning. It is generally much more persistent than migraine headache. It is sometimes associated with nausea or vomiting. It may worsen with coughing, exercise, or a change in body position and does not usually respond to the usual headache remedies. The signs and symptoms of a brain tumor vary greatly and depend on the brain tumor’s size, location, and rate of growth. Tumors in the back part of the brain (posterior fossa) may be accompanied by dizziness or unsteady gait. Tumors in the principal part of the brain (cerebrum) may cause speech difficulties or gradual loss of sensation or movement in an arm or a leg. Tumors around the pituitary gland may have accompanying vision problems, such as blurred vision, double vision or loss of peripheral vision. Sometimes there may be confusion in everyday matters, personality or behavior changes, seizures, and hearing problems (24). Giant cell arteritis is a condition in which medium and large arteries become inflamed. It’s sometimes called temporal arteritis because the arteries around the temples are often affected. There is often aching and soreness in and around the temples and pain in the jaw muscles while eating. Vision loss may occur. The headache is localized to one side and usually throbbing. Temporal arteritis is usually a disease of the elderly and should be suspected in anyone over the age of 50 years with a new onset of a headache in one side of the head (unilateral headache). A blood sample will usually reveal an elevated erythrocyte sedimentation rate. The diagnosis is made by taking a tissue sample from the temporal artery (temporal artery biopsy). Temporal arteritis usually responds well to steroid treatment. A two-year course of corticosteroids may be required. The carotid and vertebral arteries are important vessels that transport oxygen-rich blood through the neck to the brain. The word dissection describes a sudden tear in the artery wall that allows blood flow to separate the wall layers. Blood flow into this “false” channel can grow to compress the true artery channel, resulting in a total artery blockage, or occlusion (25). Dissection may develop without an apparent cause (spontaneous carotid artery dissection) or secondary to trauma (e.g., motor vehicle accident, sports injury, surgery, chiropractic neck manipulation). The headache associated with a dissection of the carotid or vertebral arteries often radiates to the neck and face. The pain may be constant, instantaneous, gradual, throbbing, or sharp. Pieces of the clotted blood can break off and block smaller arteries in the brain resulting in a stroke. Consequently, the patient may experience weakness on one-side of the body, visual disturbance, facial droop, and difficulty with speech. Medication-overuse headache (MOH) is a chronic daily headache in which acute medications used at high frequency cause transformation to headache occurring 15 or more days per month for 4 or more hours per day if left untreated (26). Frequent use of pain-relief medicine can set off this vicious cycle. As soon as the effect of the drug wears off, the pain comes back, leading the patient to take more. Ultimately, the medicine stops working and may contribute to maintaining the disorder. MOH can occur with both OCT and prescription pain-relief medications. Codeine and opioids are not recommended for the treatment of a tension-type headache or migraine. Regardless of this, many MOH patients use these agents. Codeine and caffeine-containing analgesics are available as over the counter medication in many countries. Codeine, opioids, and caffeine are known to be psychotropic drugs; thus abuse and dependence on headache drugs may be a problem (27). Patients with MOH can usually be effectively treated. Weaning them off the medication is the first step. Most patients experience withdrawal symptoms lasting 2–10 days after detoxification. The most common symptom is an initial worsening of the headache, accompanied nausea, vomiting, heart palpitations, restlessness, anxiety, and nervousness. Hangover headaches or alcohol-induced headaches are headaches that come the day after consuming alcohol. These may be caused by a direct toxic effect of alcohol and its byproducts. Alcoholic drinks have also been reported as a relatively common migraine trigger (28). Alcohol may also trigger TTH and cluster headache. Hence, it has been argued that alcohol is merely a trigger of primary headache and that hangover headaches should therefore not be regarded as a type of a secondary headache. Hangover headache is usually experienced on both sides of the head, mainly in the front of the forehead. The headache is often pulsating or throbbing and usually worsens with physical activity. Herpes zoster (shingles) is an infection caused by the varicella-zoster virus, the same virus that causes chickenpox. The virus may remain dormant in the nervous system for years before reactivating as herpes zoster. Herpes zoster is characterized by a red skin rash that can cause pain and burning. Typically it occurs as a stripe of blisters on one side of the body, often on the torso, neck, or face. Most cases of herpes zoster clear up within two to three weeks. The disorder rarely occurs more than once in the same person, but approximately 1 in 3 people in the United States will have herpes zoster at some point in their life (29). Herpes zoster involving the trigeminal and cervical nerves may cause headache. The headache commonly occurs before the typical rash appears. In some cases, postherpetic neuralgia may occur. The diagnosis is made when pain persists beyond four months in the same distribution as a preceding episode of acute herpes zoster. Idiopathic intracranial hypertension (IIH), sometimes called benign intracranial hypertension (BIH) or pseudotumor cerebri, is a rare disorder characterized by increased intracranial pressure (pressure around the brain) in the absence of an other underlying causes (30). Idiopathic means that the underlying cause of the raised pressure is unknown. The main symptoms are headache and visual loss. IIH mostly affects women of childbearing age who are overweight or obese. Treatment is aimed at preventing permanent visual loss and includes treatment with medicines, and sometimes brain surgery may also be used. Hypertension is considered to exist when systolic blood pressure is above 140 mm Hg and/or diastolic blood pressure is above 90 mm Hg (31). Hypertension affects approximately 86 million adults in the United States; and is a major risk factor for stroke, coronary artery disease, and chronic kidney disease. The relationship between headache and hypertension has been debated for many years. Obviously, hypertension is very common and so is headache. Hence, many people with hypertension will complain of headache. Nevertheless, some, but not all, studies have shown that headache is somewhat more common in those who are hypertensive than among those who are not (32). Although many experts still believe there is an association between moderate hypertension and headache, definitive evidence is lacking (33). Very high blood pressure can trigger an event known as malignant hypertension, also referred to as a hypertensive crisis. Malignant hypertension is associated with headache, blurred vision, chest pain, and nausea. Caffeine is the most widely used behaviorally active drug in the world. In North America, 80–90% of adults report regular use of caffeine (34). In the United States, coffee and soft drinks are the most common sources of caffeine, with almost half of caffeine consumers ingesting caffeine from multiple sources, including tea (35). Studies on caffeine consumption demonstrate that when people don’t get their usual dose they can suffer a range of withdrawal symptoms, including headache, muscle pain, fatigue, drowsiness, dysphoric mood, difficulty concentrating and flu-like symptoms. Caffeine withdrawal refers to a time-limited syndrome that develops after cessation of chronic caffeine intake (35). Headache is the most common symptom of caffeine withdrawal. It usually begins within 12 to 24 hours after discontinuing caffeine, peaking during the first two days, and may last for 7-9 days. High-dosing coffee drinkers are more likely to experience intense symptoms. Re-introducing caffeine during the withdrawal period can stop the headache within just 30 to 60 minutes but the ultimate cure is total abstinence from caffeine. I had a horrible chronic headache that lasted over a year. It was a type of hypo/hyperglycemia headache caused by me eating only one or 2 meals a day consisting of a lot of (high glycemic) juices and carbs, that I thought were healthy. Much better to eat raw fruit with the fiber intact. I’ve always been very curious about the nature of my headaches. They started at around puberty (13 yo). And I’ve had them nearly every single day all of my life (now 44 yo). They’re typically only a 1-2 on the 0-10 pain scale… just enough to notice but not enough to be a bother. Draw a line from the middle of your eyes to the back of your head- that’s where my typical headaches have always been. Usually, it’s a dull but constant pain. Once the pain reaches a 7, it’s usually pulsating and I become extremely nauseated and visually impaired (? ), which makes me incredibly cranky. I still have “perfect” vision. When my headaches get bad, though, I have to crank up the lighting because it SEEMS as if the contrast of the world is wrong. Everything seems more dull and less sharp and harder to make out. Once the headache reaches an 8, I HAVE to go to sleep. Medicine (including Valium) do very little to nothing once the headache reaches a 7. If I catch it at that time, I can *sometimes* keep it from progressing. I used to have BAD episodes commonly (every couple of months) from around 12- early 20’s, then they died down for a while (a couple times a year). For the last couple years, I get bad ones sometimes a couple times a month to once a month. Certain things *seem* to trigger them- some cheeses and meats; but other times I get them for no reason.